Luckily enough, we’re crunched the numbers, checked the features, and put together a quick overview of the key differences between these two Jeep SUVs. 2.4L Four-Cylinder: Up to 180 hp and 170 lb-ft of torque. 3.2L V6: Up to 271 hp and 239 lb-ft of torque. 2.0L Turbo Four-Cylinder: Up to 270 hp and 295 lb-ft of torque. 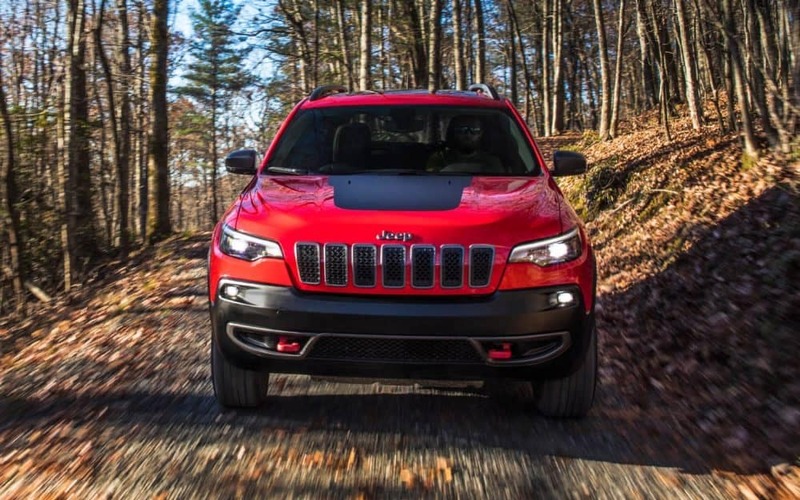 The 2019 Jeep Cherokee makes up to 22 mpg in the city and 31 mpg on the highway. 3.6L V6: Up to 295 hp and 260 lb-ft of torque. 5.7L V8: Up to 360 hp and 390 lb-ft of torque. 6.4L V8: Up to 475 hp and 470 lb-ft of torque. 6.2L V8: Up to 707 hp and 645 lb-ft of torque. You’ll make up to 19 mpg in the city and 26 mpg on the highway with the Grand Cherokee. Families seeking abundant cargo space for camping trips out from Rice Lake will be attracted to the Jeep Grand Cherokee. That said, the Jeep Cherokee’s tighter exterior measurements make it easier to handle in the center of Cumberland or while parking in Hayward. Both Jeep SUVs deliver standout technology, including Android Auto/Apple CarPlay compatibility and high-end driver-assist features like LaneSense Lane Departure Warning. To view the redesigned Cherokee or take a test drive in the 2018 Jeep Grand Cherokee, simply contact a Don Johnson Motors location today.